History has habitually been a site for imagining a nation; and in this case the history of a people with a violent past—a pre- and post-1990s Kashmir for the Pandits of the Valley. Preoccupied as the narrative is with a post-exodus memory crisis and a tenuous bond between remembrance and forgetting—as if “… [d]arkness and light were plaited together,” (“The Debt”)—this collection of short stories endeavours to construct a collective memory for “The Banished People of the Nowhere Kingdom”. But just as a plait has a hidden third strand, unseen to the uninformed eye, this book too is held together by shorter narratives, strands of stories, local histories joined at the hip with personal tragedy and larger catastrophes—a fistful of earth as remembrance for a forgetful mind, and oblivion for the tortured soul. This unseen third strand is perhaps best exemplified by the coils of thread and needles that hold Lalit’s mother together in the short story “Poison, Nectar”—Gigoo’s short film, The Last Day, is also, in fact, based on this short story. “… Lalit’s mother took to stitching the torn fabric of her tented home with an old needle which had become her prized possession…”. It is as if her needle and thread are at work throughout the book, holding together the torn fabric of history that her people share: of condemned lives, broken aspirations and forgotten dreams. Dreams and nightmares are other running themes, as contrasts to the leitmotif of memory and amnesia. The author successfully uses a dream-like narrative style as a tool for archiving the history of a lost people, his people, which is very aptly showcased in the opening story, “The Search”. 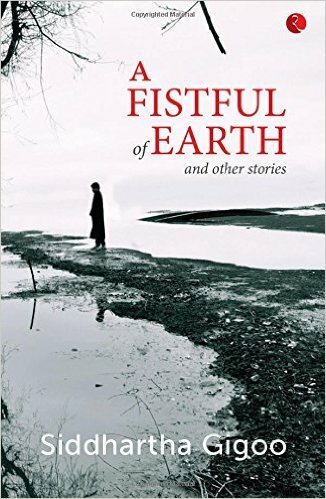 If the first tale sets the tone of this collection of short stories, then “Poison, Nectar” forms its essence, while the “The Debt” stands as its conscience, and the “Umbrella Man” (1) shines as a beacon of hope in an otherwise wasted landscape. What sets this author’s narrative apart from other similar identity narratives is his deconstructed strategy of blending allegory and dream-like lyricism to confront a violent past, without allowing any overtly political thought to tinge his creation. The State, which he assiduously tries to shut out with locked gates and high walls, nevertheless, is often present as spectre. Sometimes through figures of authority and sometimes simply through marked absences and phantom forms. Gigoo ventures into uncharted territory yet again, with his second book on the subject of the mass exodus of a marginalised people. Being a pioneer, he often lacks the navigating tools (except for those he has fashioned for himself) to help him get his bearings right; but what he has gained in the process is a level playing field and a first mover’s advantage that he has utilized to the fullest potential. Siddhartha Gigoo artfully manages a tightrope act by adhering to good old fashioned storytelling and enduring imagery, without plunging into political propaganda. I would recommend reading his remarkable collection of short stories for its subtle art and gracious craftsmanship. And for the kind of classic literary imagery that, in time, often quietly transitions into becoming part of a collective consciousness. (1) It is worth noting that the short story, ‘The Umbrella Man’, has recently won the Asia Regional award for the 2015 Commonwealth Short Story Prize. Saon Bhattacharya is a poet at heart, and a business editor by profession. Based out of Gurgaon, she has been writing poetry for over a decade. 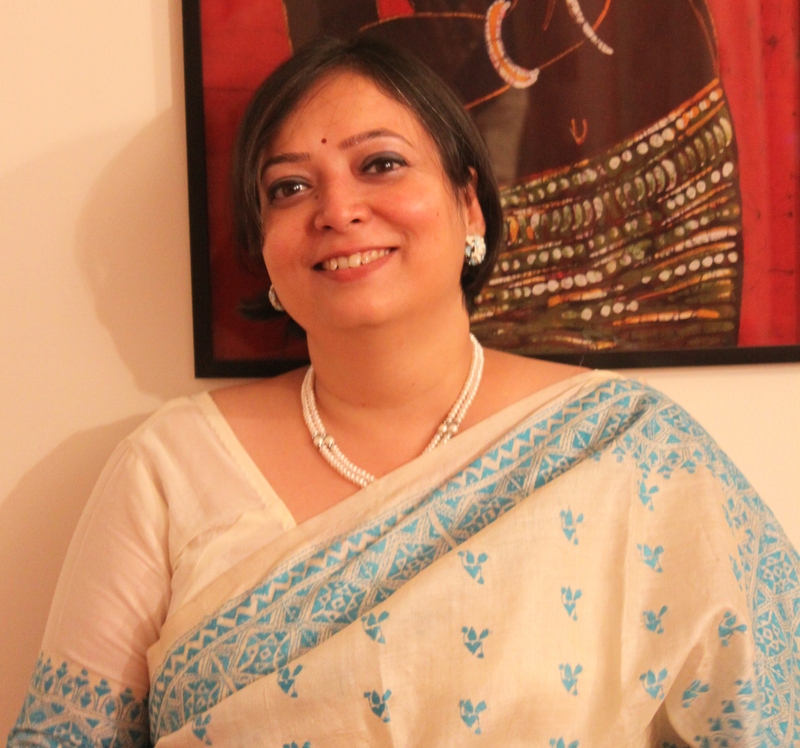 Some of her verse and prose pieces have been published in online journals and blogs. Saon is currently experimenting with short fiction.